Thanks so much again for your blogging. There are two courses at the College of Psychic Studies starting next week on scrying. They are run by a good friend of mine so I can recommend them. I also teach there I run Weaving Celtic Wisdom which is a psychic mediumship course starting on 31st January. I am not sure if it's to late for your blog, but wanted to point them out for you. Not too late at all and thanks for mentioning them Gary. Gently relax into a short course on Scrying. 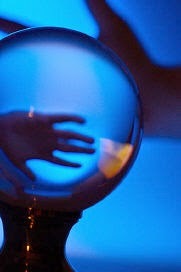 Using crystal balls, mirrors, water, candle flame and other everyday items, learn how to see the past, present and future. This is a traditional exercise for the third eye chakra to open it up more fully. This course will teach you how to focus, still your mind and trust what your guides are showing you. Mirror, Mirror in my hand, reveal to me what I need to see and understand... This course is for those who already have some knowledge of scrying. It will help to identify the most powerful scrying tools for you to use, as the uniqueness of each individual means that a tool that works for another person may not be the best for you. Come and weave Celtic wisdom with spirituality into your life by connecting to the power and energy of the natural world. We will look at the Celtic festivals as our oldest surviving link to the ancient wisdom of our ancestors who were in tune with the cycles of nature. Using meditation, imagery and working intuitively with these seasonal celebrations we can enhance our psychic and mediumistic skills helping us to remember who we are.